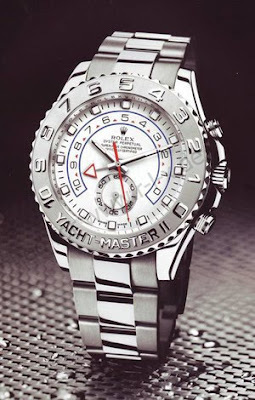 Why I never wore that fake Rolex? The Economist attacks Japan in a recent article, "Spartan Salarymen", for the lower pay managers of companies receive relative to their counterparts in the U.S. and Europe. This is yet another example of the CEO-Media Complex, a collusion between big business executives and the media (newspapers, magazines, journalists, etc) who work together to elevate pay higher and higher for executives, championing CEO's as the reason why companies do well, while neglecting the real reason companies perform - the multiple actions of the men and women in the ordinary jobs who show up day after day and execute their roles with precision. They are the true heroes and drivers of performance, and they should be compensated as such. It seems the Japanese have their priorities in place as a nation, culture, and a business environment. The article sounds like it was written by one of those "compensation consultants" wonderfully described by Harvard Business School Professors Jay Lorsch and Rakesh Khurana in their excellent article, The Pay Problem, in Harvard Magazine. I was cheered to see that the large majority of reader comments on the Economist article believed that the Economist had got it wrong. Clearly, CEO's and other top managers in the US and Europe are overpaid. As Professors Lorsch and Khurana point out, compensation consultants who collude with CEO's to convince disinterested Boards and Compensation Committee's are only part of the problem. Executive pay in the West continues to rise in the West "not so much as a driver of improved performance, but as a consequence of improving performance and an accompanying rise in equity values. ... Incentives have impact on behavior only when the recipients can see a direct link from their actions to the results achieved and the rewards they will receive. ... In most companies, multiple forces and the joint efforts of many individuals cause the results achieved." I hope the Economist writer will do his homework in the future before writing such ridiculous propaganda promoting the CEO-Media Complex. Years ago, a family member gave me a fake Rolex, purchased while in South Korea. It was a beautiful looking watch, but I never felt like wearing it, partly because it was too big, but there was another reason why - I just never knew how to express it. Now the research shows how wearing counterfeit items can affect our behavior. 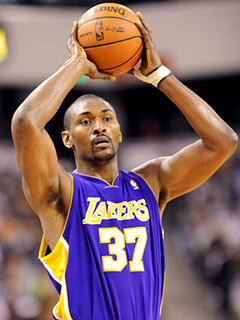 "I was nervous as a mama, but I have to thank my doctor," Artest said. "She came and saw me last night, and she'd come follow me on the road because there's so much going on on the road and I know myself. I know in these situations I don't think the right way and I need help to think the right way and focus and stay relaxed. All I did was relax at the moment I took the 3-pointer. I settled in and trusted in myself." Artest was in rare form when describing the 3-pointer, which came off a pass from Bryant. "He never passes me the ball and he passed me the ball," Artest said. "Phil didn't want me to shoot the 3. He's the Zen Master, so he can speak to you and he doesn't need a microphone. You can hear him in your head, 'Ron, don't shoot.' Whatever. Pow, 3. I love the Zen though." Later pressed about the shot, Artest said God told him to shoot it when he wasn't so sure. "A voice came down and told me to shoot the ball," he said. " 'Shoot the ball,' he said. God told me to shoot the ball and I shot the ball." If it all sounds a little crazy, it's because you'd expect nothing less from Artest, who clutched the trophy in his arms after the game and admitted he didn't fully realize he was playing for the championship until he was handed a championship cap after the game. "I really couldn't feel where I was at," Artest said. "I couldn't feel the Finals. I was more in the game and what my coach wanted me to do. When we won, I didn't even know we won. I honestly didn't know we won. I actually cried before the game. How stupid is that? How dumb is that? How do you cry before the game and then you don't cry after you win? Daddy, you raised a dumb child." Lakers just need two more championships to overtake Boston. Lakers are the Batman to the Celtics Joker, the Sherlock Holmes to their Moriarty. Three-peat, then Four-peat. On the House Agriculture Committee, which holds sway over farm policies and subsidies, members had farming and agribusiness investments worth five times on average the amount held by other colleagues in the House. Much more in the full article.